Night vision technology is nothing new, it’s been used since World War ll and is still used in modern warfare as well as in today’s automobiles. The benefits of night vision are that the military can maneuver in and monitor situations in little to no light. The technology relies on “atmospheric nightglow” which is basically the surrounding light, whether it’s starlight or night sky illumination. When military transport vehicles need to operate in darkness, enhanced vision systems, aka night vision, can help them safely do that. Night vision systems employ the use of short wave infrared (SWIR) and illumination sensors to covertly navigate. These systems are different from midwave and longwave infrared technologies in that the shortwave infrared can operate through a windshield which allows it to be mounted on a vehicle dashboard giving the driver the ability to see through it and navigate dark roads. Additional advantages of SWIR imaging is that there are enhanced facial recognition capabilities. 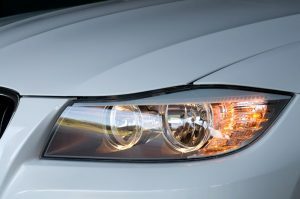 Night vision technology for those not in the military have been showing up in vehicles such as the BWM and Mercedes. The car is equipped with a night vision system that displays an image of the road ahead to the driver. The images are picked up through infrared radiation which is invisible to the human eye. The technology grabs the “heat signature” of an object that may be in the road ahead – a deer or people, for example. Night vision technology has not been in vehicles as long as it has been utilized by the military. The first car, a 2000 Cadillac DeVille, offered the technology as an add-on option. Being able to see any potential obstacles in the road ahead is crucial to safe nighttime driving and a vehicle equipped with this offers the driver the information he or she needs allowing them time to adjust for the conditions ahead. It’s also been shown that with the night vision technology in the vehicle the driver is able to “see” the darkened road ahead which could prevent accidents and injuries. Universe Kogaku designs and manufactures lenses for automotive use, as well as for military applications and electronics. UKA also carries standard and custom lens assemblies for scanners, CCTV, CCD/CMOS, medical imaging, surveillance systems, machine vision and night vision systems.